Tuesday the 17th of July provided Cathedral City Toastmasters with another soul warming and skill stretching meeting. With speech themes around parenting experiences and a table topic far from the usual our Toastmasters were in for a fantastic night lead by the one and only David K.
We began with a speech bursting with love and pride at the seams. Our well seasoned speaker Ellie illustrated the lessons she has learned from her son throughout his life as she reflects on their relationship. The smile on her face throughout her presentation couldn’t hide how proud she is of her boy. Kirsten was up next, taking us on a journey of parenting young children and the many roles she has had to step into such as the Tooth Fairy and the Easter Bunny. Her message of adding a sprinkle of fairy dust into her children’s childhoods’ to keep the magic alive was very heartfelt. Eva then had a thought provoking table topics centred around a method of financial aid to those in need that is not implemented in Western countries currently. Our panel of 4 lucky experts demonstrated their knowledge and opinions on and around the subject. 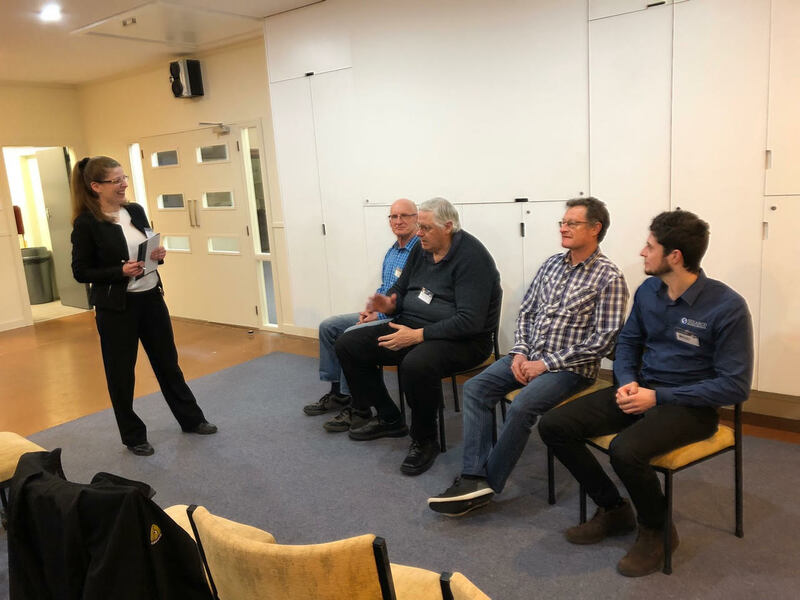 Having a table topic that didn’t include humour was a great exercise for our club and helped stretch the speakers skills out from the usual humorous theme of table topics. The evaluations were excellent as usual, with Sanna making a reappearance as Timer after a few months off! We’re glad to have her back! !